Yikes ... my reasons for a huge blogging gap! normal transmission will resume soon! It's nice to "see" you. Sorry Blossie was sick. I'm glad she's recovering. 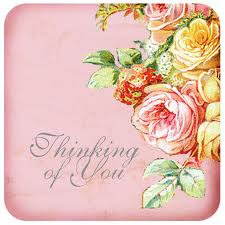 Thinking of you Too..... hope Blossie is fully recovered, and we'll see you again soon.